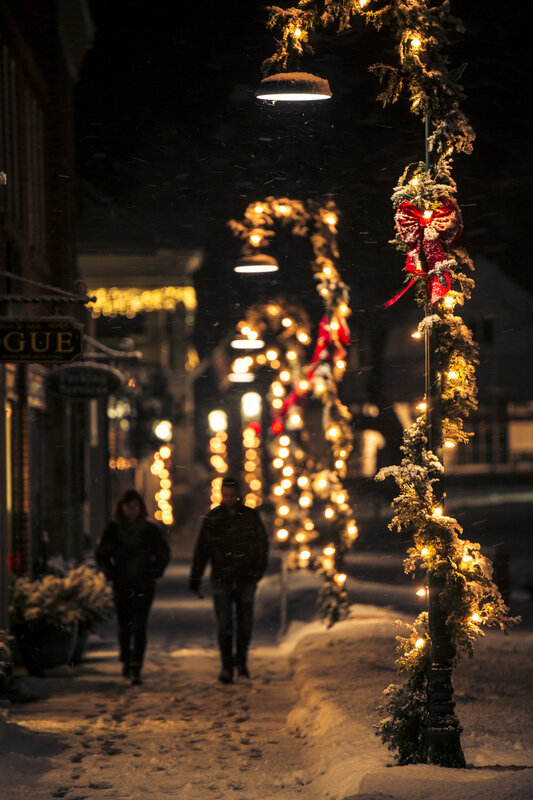 I will say this right off the top: I doubt if many of you, unfamiliar with Downtown Petoskey, have ever spent a more wild and energetic week between Christmas and New Years unless you’ve been one of our guests. Some call it “Holiday Week” and some call it “Hell Week,” but in either case, there are a lot of people having a lot of fun. The streets fill with shoppers with first crack at the post-Christmas sales; the restaurants fill with roving bands of hungry folks looking for a hearty lunch in route to and from ski hills; specialty shops are staffed for those getting together in vacation homes and rentals, needing last minute gifts; then at night, the streets and skies are aglow and filled with laughter and joy when even more people venture downtown to take advantage of great food, great drink, wonderful desserts and sweets. This year looks like a banner year for that white Christmas and cold enough afterwards for the perfect skiing, sledding, skating and snowboarding. Besides the surrounding ski resorts, Petoskey offers a Winter Sports Park where families can enjoy everything for free or a minimal rental charge. There’s even hot chocolate and treats when your ready to get warm inside. Best of all, it’s within walking distance of downtown. There’s joy in the heart! There’s art in the museums, music in many dining rooms, and dancing in the streets, but if it’s a more solemn occasion you wish, there are churches and facilities for all faiths and beliefs. The Holidays are fun, but at the same time reflective of our hard work and community spirit and it is important to show the world our enduring wish for peace and contentment for all. Come to Downtown Petoskey and enjoy the festivities. Come to Downtown Petoskey and share in the spirit of giving and sharing a life well lived and a live worth living. 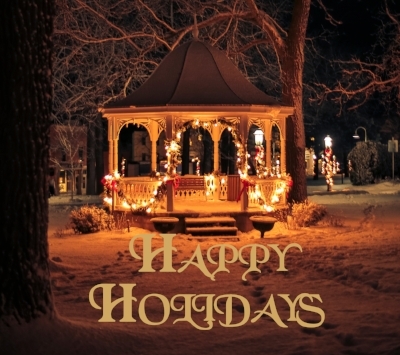 Merry Christmas and Happy Holidays from Downtown Petoskey!